If you were an active user on Twitter in 2014, you may have been there to witness firsthand the explosion of a new internet celebrity. 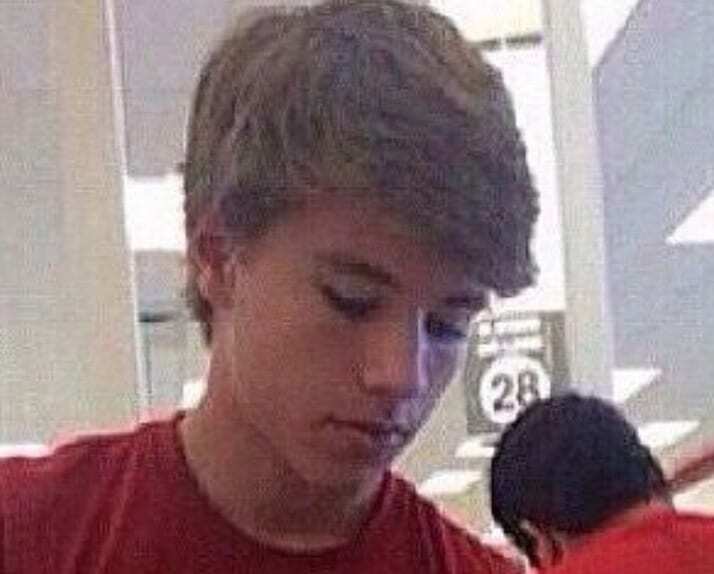 Alex from Target. The youngster never knew how turning up for work in his Texas hometown would be the beginning of a whole new adventure in his life. In fact, that day at work was so significant that his entire world was about to change. 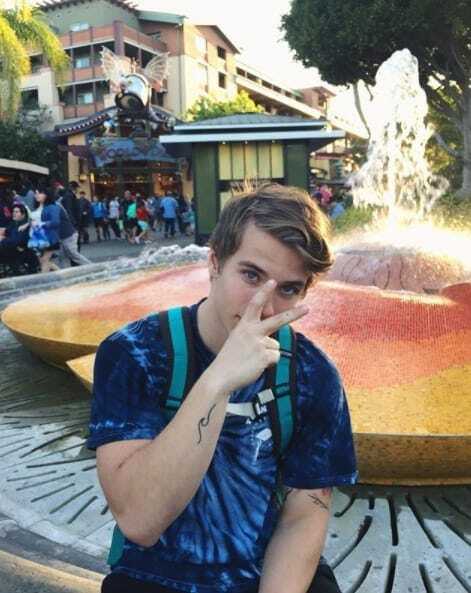 A young girl with a crush couldn’t help but snap a photo of her fantasy beau, which she promptly uploaded to Twitter. 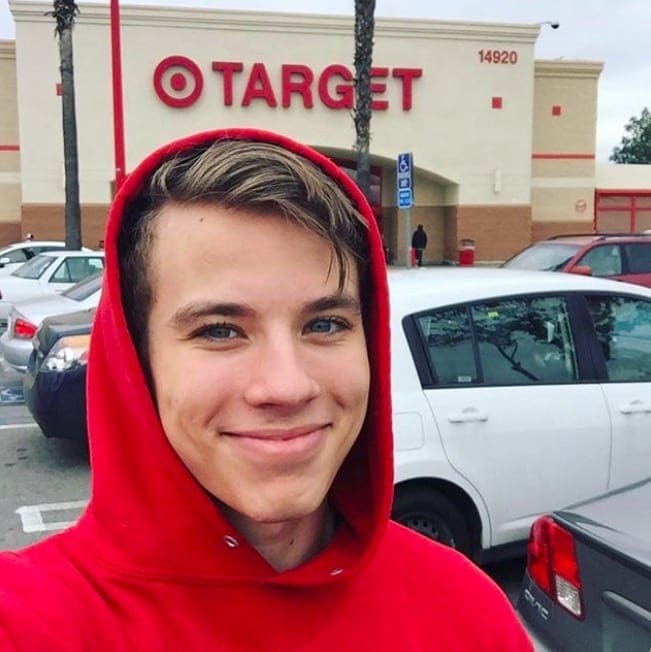 It was this decision that saw Alex from Target become the new face of the internet, as thousands of people across the globe all shared the latest internet sensation. From talk show offers to flying across the country, life was all set to change for this youngster who found himself swept up in the whirlwind experience. After one shift changed his whole life, whatever happened to the boy behind the name tag? Since its creation back in 2006, the popularity of Twitter has skyrocketed. Around 330 million people log onto the site every month to keep up to date with their friends, and favorite celebrities. In the (newly introduced) 280 character limit, people can express their thoughts, opinions, and daily lives, in short, quick updates. As far as singer Katy Perry is concerned, using Twitter is a breeze – as the legend is the most followed person on the site with more than 108 million followers. The number of people using the site means that the right hashtags, or uploading the right post at the right time, can soon see someone take the whole internet by storm. Kyle Ayers, Jason Sweeney, and Justin Halpern have all learned how to use humor to dominate the online world of Twitter with their various stories and updates. However, for Alex, it wasn’t his choice that he became the new face of the internet. So how would the 16 year old cope with all the attention coming his way at such a young age? The self-confessed introvert was minding his own business at work when everything was flipped upside down, and life became one big rollercoaster for the star. Nearly four years on and we have started to wonder, whatever happened to the boy that began life at the checkout? 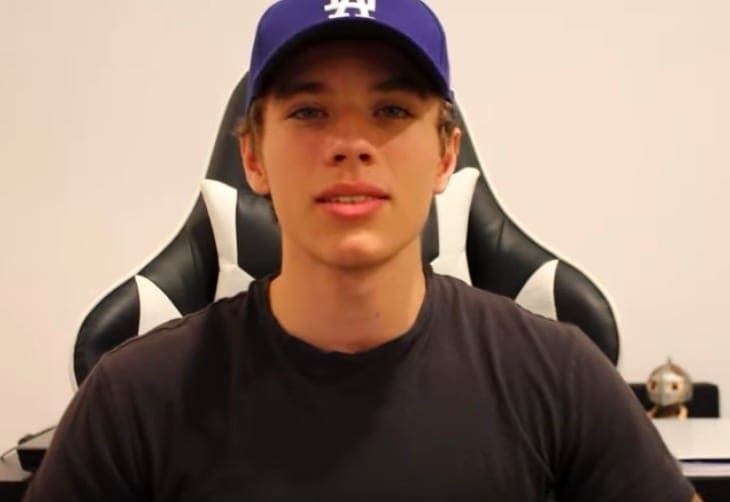 Did he continue with his internet fame? Perhaps he decided to keep his life out of the limelight? 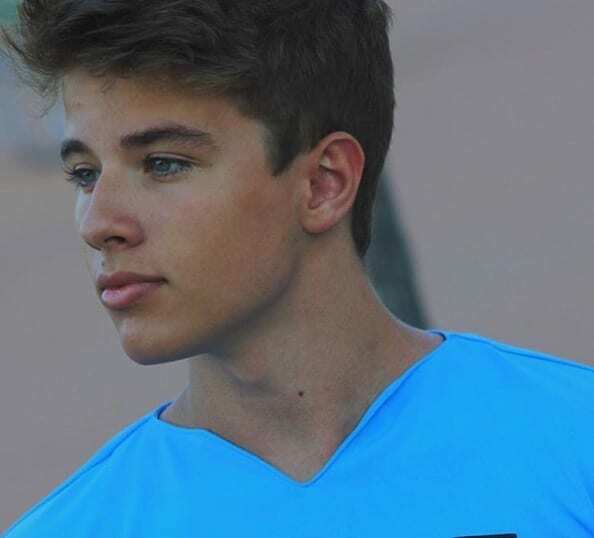 We need answers to the mystery behind Alex from Target. It was a usual day at Target when Alex, who was 16 years old at the time, turned up at his local Texas store. 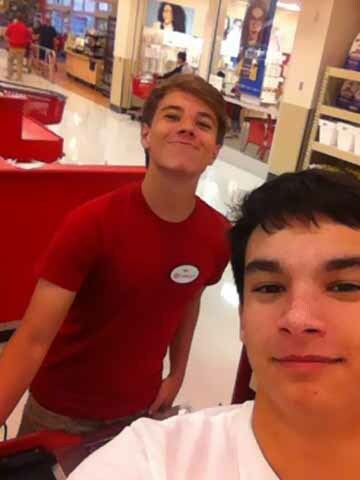 While working at the register, the teenager gained a fan who took her chance to grab a quick photo before he realized. The young girl uploaded Alex’s photo to her social media where things began to snowball instantly. Alex later spoke about how his phone had run out of battery, but his manager was quick to fill him in on what was happening. His manager had some shocking news. The photo had been shared no less than 30,000 times on Twitter in mere hours. Alex couldn’t believe his eyes as he saw the number continue to grow in front of him. The teenager thought that someone was playing a trick on him so asked if he could charge up his phone to see for himself. The manager agreed, which led Alex to discover more than 10,000 messages as his phone number had somehow been leaked. It wasn’t long before Alex’s phone crashed due to the number of messages and notifications he was receiving from the photo. When the girl uploaded her snap of Alex onto the internet, nobody could’ve guessed how far it would go. In one short shift, Alex had gone from a mere 144 followers on Twitter to over 5,000. The youngster had to clock out early as people were soon flooding the store to get their own photos with the new celebrity. Before he made his stake on the internet, Alex admitted he had always liked to keep himself to himself. However, the influx of attention was so overwhelming for the teen that he didn’t know what to do; Alex was left wondering whether this was what it was like to be a celebrity. Alex posted “Am I famous now?” to Twitter shortly after the events, but his question was soon answered. He picked up the phone to hear Ellen Degeneres on the other end. It was mere days after the initial internet explosion that Alex found himself jetting off for his guest appearance on The Ellen Show. The host interviewed young Alex about how his life changed so drastically in less than one day. Ellen also queried whether Alex now felt obliged to keep his fans updated on his life, to which he replied the pressure from the world was overwhelming. Alex also confessed there had been a number of potential wives offering their hands in marriage. Over three years have passed since the famous internet photo was taken – which has since seen Alex go on an incredible journey. A few months into his new fame, Alex spoke about how he spent a lot of time touring, where he met some other famous faces. One of his newest friends is the award-winning singer, Nick Jonas. Alex added that during this time he was also still making regular appearances on news channels which gave him plenty to keep busy. 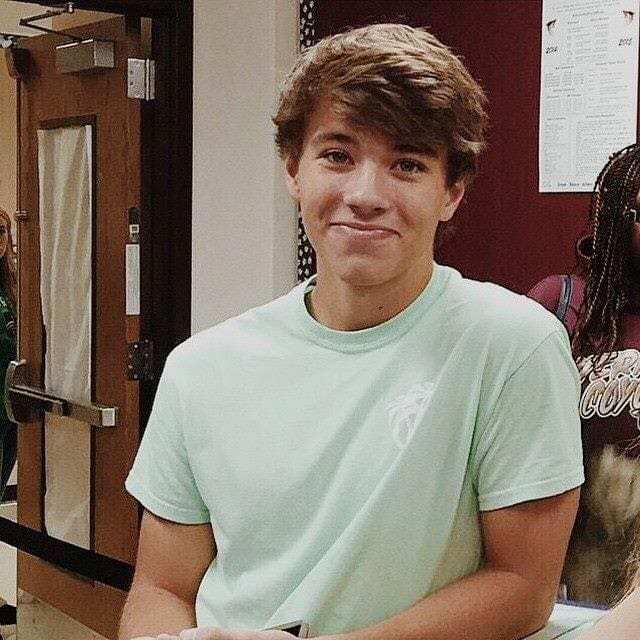 Although life for Alex appeared as though it couldn’t get any better, the teen also struggled to deal with the side of fame that most of us don’t see. Alex admitted that he feared to leave the house for a long time as he never knew who would be waiting. The Texan has also spoke out about how he felt stressed a lot of the time. Alex never knew that going from a regular teenager to an internet sensation would affect his life so much. 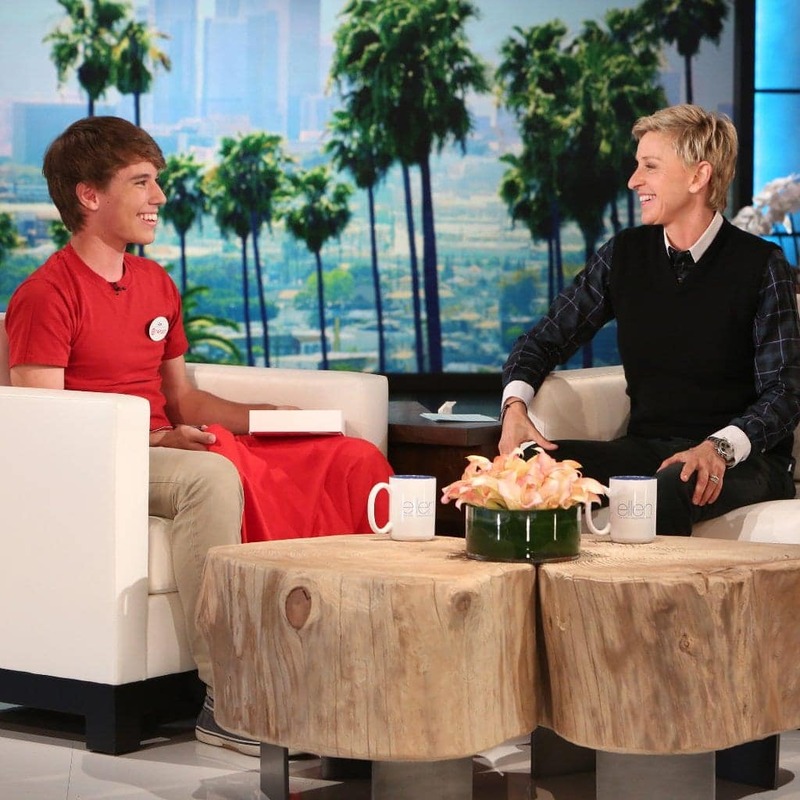 After appearing on The Ellen Show, the teen was soon offered a number of other talk show appearances. All the flying around meant Alex no longer had time to work at Target or attend school. In fact, his high school ended up taking him to court for all his absences. It was then that Alex began homeschooling which gave him the freedom to travel as he pleased. This decision meant everything was about to escalate even further. 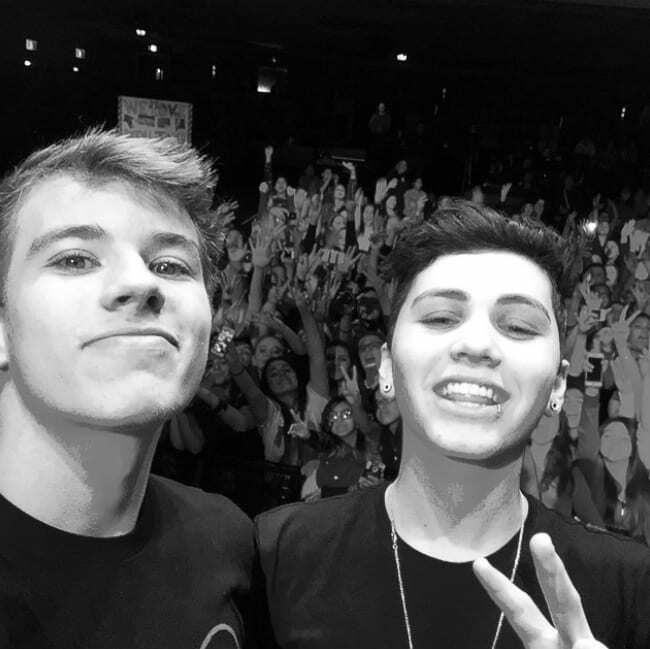 Alex from Target was lined up as one of the headliners of the 2015 Digi Tour. The festival hosts various social media stars on a month-long event as they travel around the country. For Alex, this was the first time he had left his home state of Texas without his parents by his side. 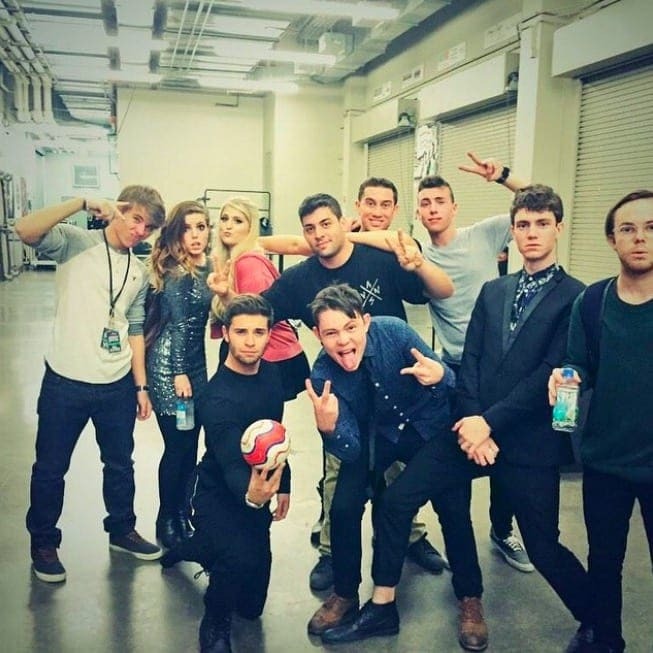 The tour led to a budding friendship with YouTube extraordinaire Sam Pottorff. The pair grew so close that they ended up moving in together for a few months when Alex first moved to California. 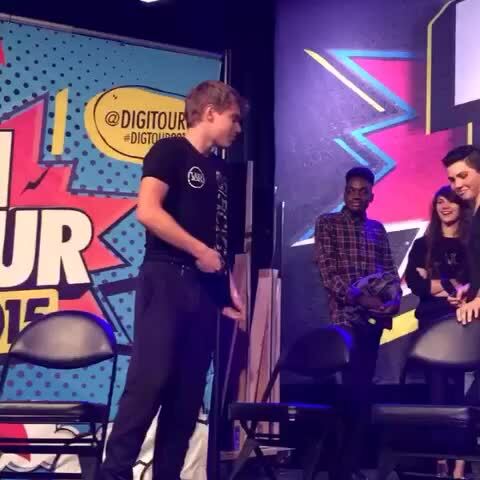 Alex was able to worm his way out of an embarrassing situation at one of the tour stops. The crew told the teen he would have to do the worm on stage. This didn’t go to plan. Alex admitted they had been up all night so didn’t have the energy for the move. After throwing himself into a handstand, the star fell flat on his face after losing his balance. Alex jumped up and brushed the whole thing off; his pro-like elegance made everyone like him more than ever. Even though Alex is now an internet sensation, he was never the one to upload the photo. The teen admitted that at the time he had little knowledge of how to handle all his followers, as well as successfully manage his accounts. 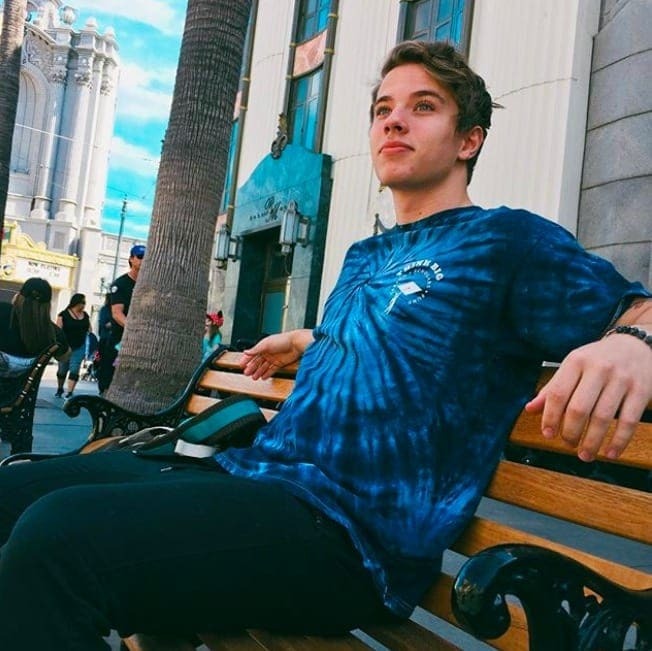 While on the tour he was able to learn from the pros as he grew close to Vine stars, such as King Bach, as well as other internet sensations. They all gave Alex plenty of advice, but Alex confessed it was hard to keep up. Before gaining fame, Alex was unsure how to utilize a camera. The friends he made on the tour helped guide him in the right direction to ride out his popularity in the best way possible. Although Alex has said that he was able to learn a lot from their advice, he said there is still plenty to understand. To keep fans happy, Alex started a channel on YouTube. Sadly it took many attempts to get the quality of sound right to produce professional looking and sounding videos. In recent months, Alex has made his comeback to YouTube. 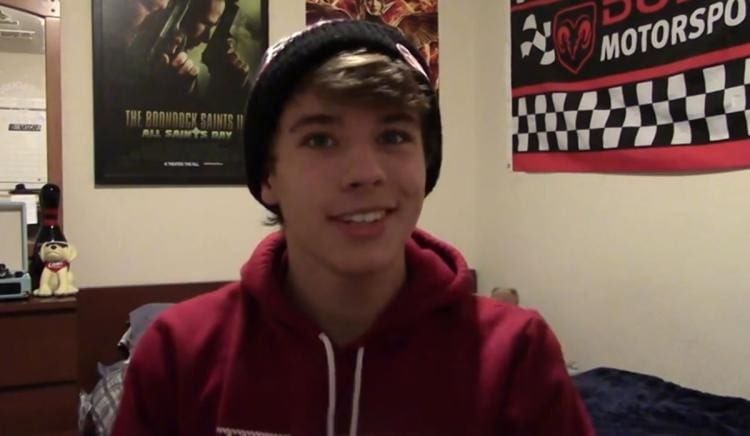 Alex uploaded a video for the first time in a long time titled “RIP #AlexFromTarget”. What could this mean? Alex went on to explain that the old Alex had been put to rest as he is now going by the name Alex Lee. Since then the youngster has continued to upload new videos for his nearly 3,000 subscribers. Alex seems determined to rebrand himself away from his Target days. Alex has now decided to move to Los Angeles where he has built a life for himself. 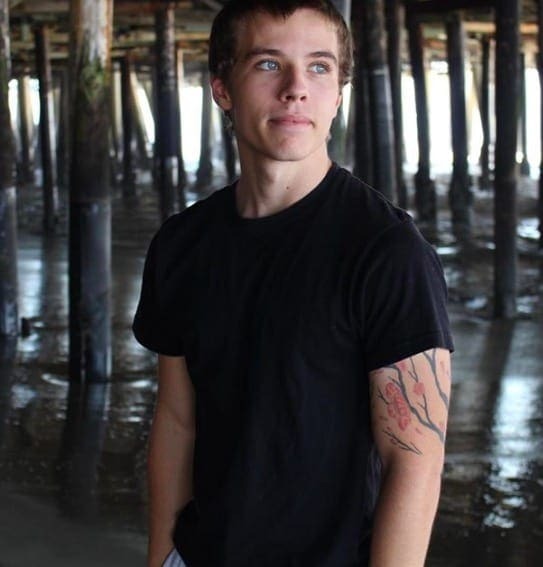 The internet star has recently spoken about some of the horrific ordeals that he has gone through on his journey to fame. One of the managers hired by Alex was left in charge of managing all social media pages. However, the individual allegedly ended up stealing more than $30,000. Various other managers over the years also promised to help grow his career before walking away not long after. It wasn’t long after Alex’s photo went viral that people began claiming responsibility for the fame. Breakr was one of the few to put their names forward. The company works by bringing fans into fandoms, who said this is precisely what they did with Alex. Dil’Dominé Leonares, the company’s CEO, claimed they experimented with Alex’s photo to see how many fangirls would pick up on the post. Alex and the actual girl that snapped the picture both deny this. In fact, Alex says he has never heard of Breakr before. Outside of YouTube, Alex also makes regular appearances on YouNow. 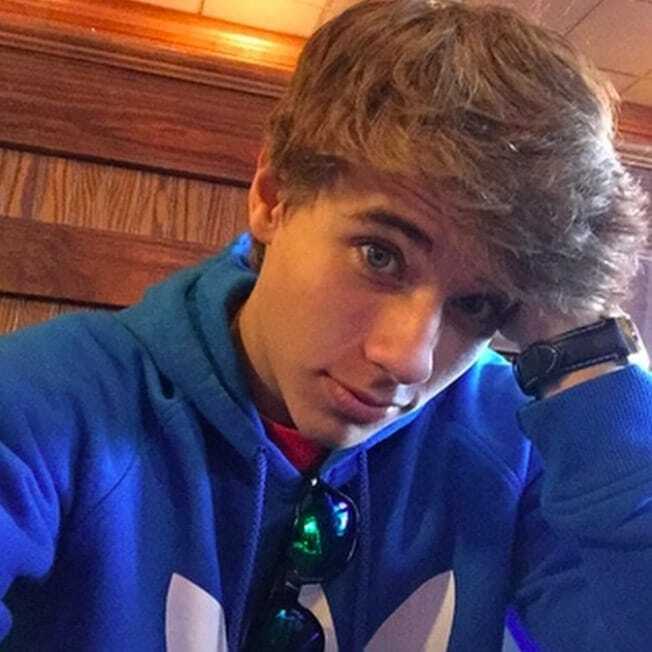 The live streaming chat site allows fans to see real-time videos of Alex as he answers any questions they may have. They often revolve around Alex’s likes and dislikes, or how his life is going. On YouNow and YouTube Alex usually has a partner in crime: Kelsey. The pair are in a relationship, and she is there to support her boyfriend who struggles with nerves if he is alone. 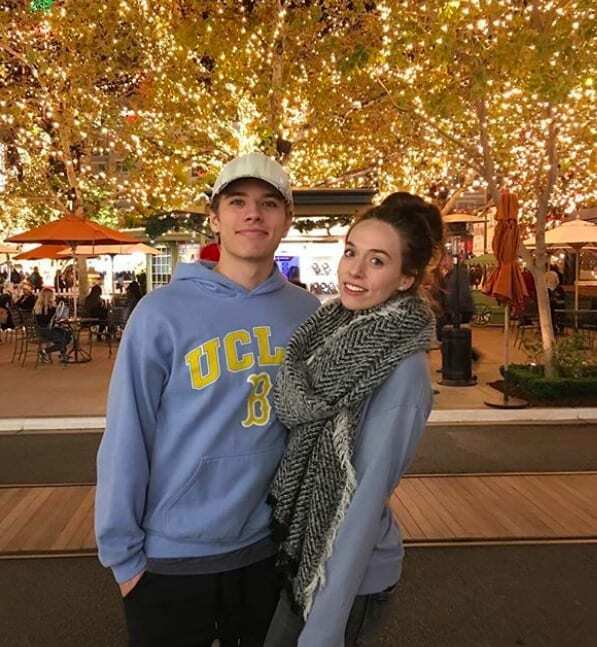 Alex first met Kelsey Carpenter when he moved into his new LA home, as the pair became new neighbors. When Alex first laid eyes on Kelsey, he asked if she would join him on a date at the restaurant, Denny’s. She agreed, and the rest, as they say, is history! Sadly, when Alex uploaded a photo of the couple together, he managed to break the hearts of thousands of girls across the globe. However, the couple have gone on to become ultimate relationship goals. Kelsey settled into the LA building after she made the 2,000 mile move across the country from Chicago. Here she has taken a job teaching dance to young children. 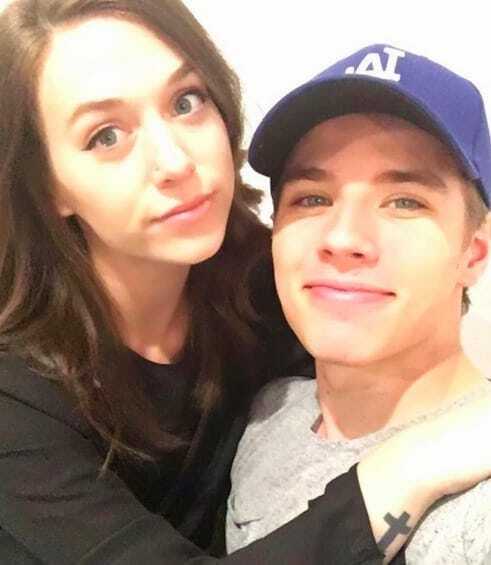 Kelsey is Alex’s biggest fan who has admitted she doesn’t mind the influx of messages her boyfriend receives from fangirls around the world. The dancer also knew about Alex’s fame before they met as she confessed the landlord had told her Alex from Target was about to become her new neighbor. 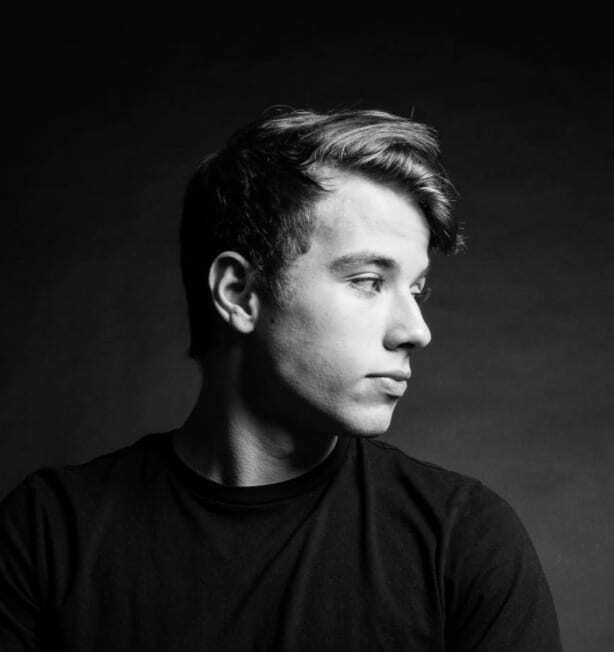 After Alex made his grand reappearance back on the YouNow and YouTube scenes, he began to realize how much he had missed his social media life. The internet star has spoken about how everyone was supportive of his choice, as well as sending plenty of thoughtful comments. 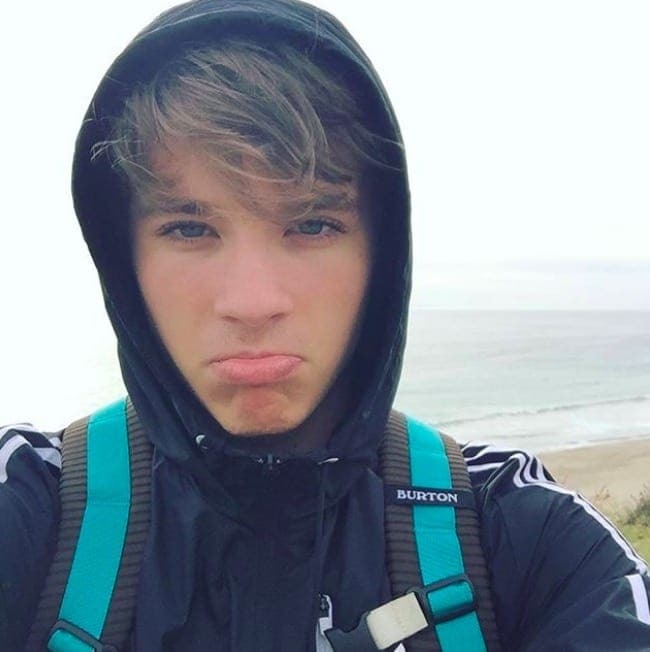 Alex continued to say that he felt as though his fans were still there with him after all this time which sparked his desire to get back online. To kick things off, Alex began posting more regularly. Even after time away from the scene, Alex hasn’t lost his touch. On Instagram, he is blessed with 1.5 million followers who get to see all aspects of his life. 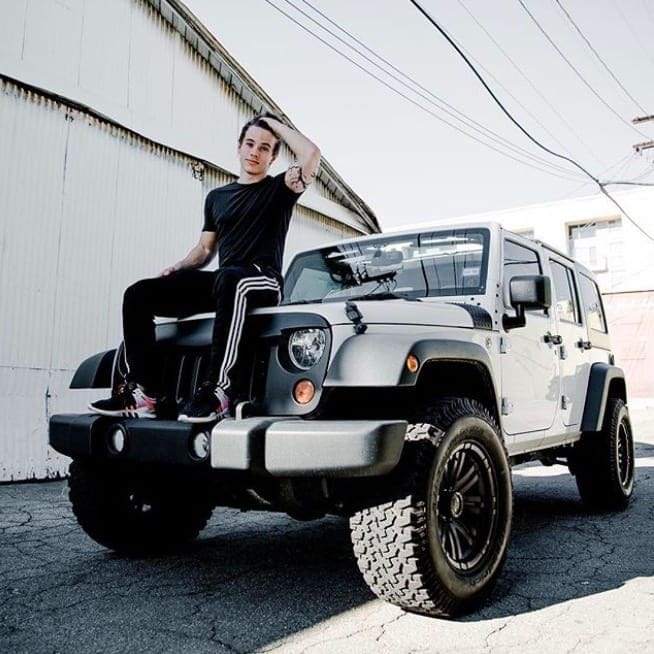 Alex tends to post photos of his brand new Jeep, his various tattoos, spending time with his friends, gym workouts, and pictures of him and Kelsey together. 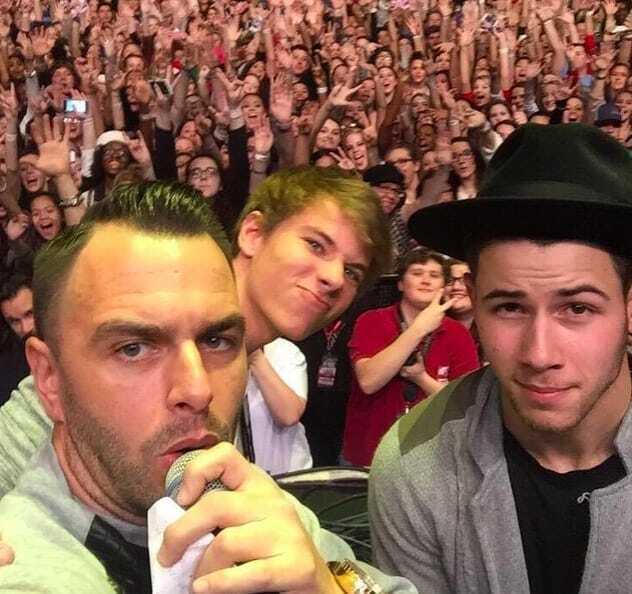 Alex has also made some famous friends; he is still close with Nick Jonas, as well as hanging out with Laura Prepon, the star from Orange is the New Black. Since sporting the famous swoopy-hair in 2014, Alex has now decided to cut his locks as he has matured. The star has also been inked several times. 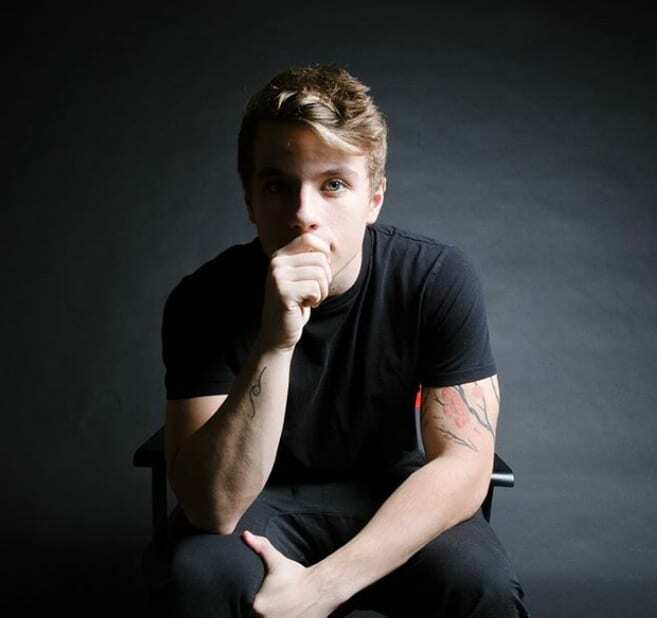 On his shoulder, Alex has had a Japanese cherry blossom after admitting he loves the art style, as well as a his and hers wave tattoo on his arm that he had done with Kelsey, and one of his sister’s favorite quotes from a poem tattooed across his ribcage. 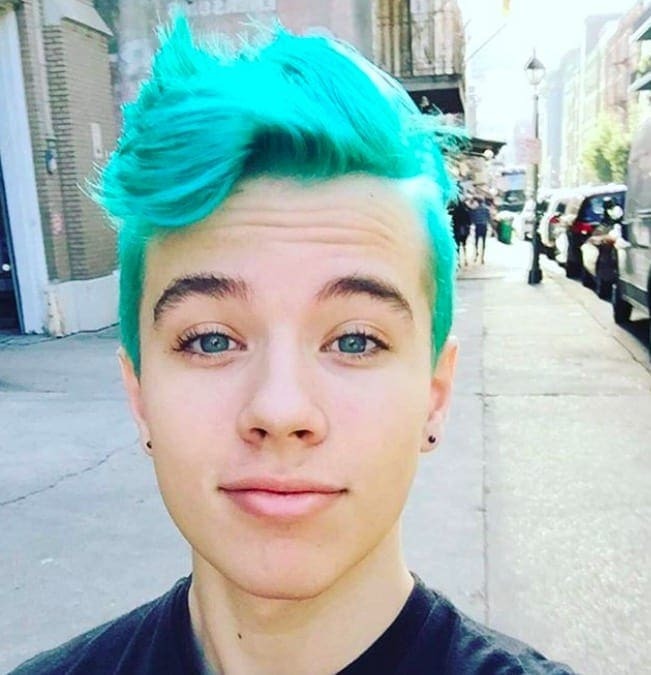 Many fans were left speechless when they saw the color choice Alex had gone for; the vibrant blue locks were hard to keep your eyes away from when scrolling through Instagram. There were mixed reactions from the masses over whether the color was a good idea, but they didn’t have to wait long until Alex changed his mind about the color choice. Today Alex still keep his dark blonde hair – could he soon greet us with another vibrant color instead? As he rose to fame, many questioned whether Alex would use the opportunity to branch out into other areas of entertainment. However, the star admitted that he couldn’t dance or sing which ruled those two possibilities out, as well as having no interest in learning how to model. Alex was only 16 years old when everyone was questioning his life choices, so it seems as though he was hoping to try and hold on to a normal life. Perhaps there has been room for change over the last few years? Ever since Alex’s heyday, people have been keeping a close eye on other retail employees. 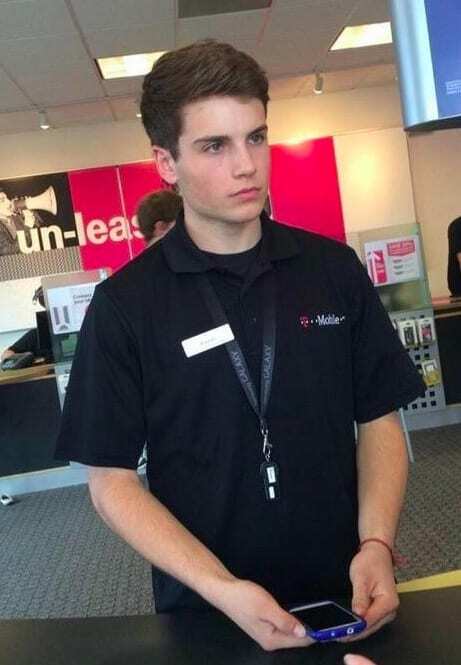 At a T-Mobile store, one customer managed to snap a photo of a worker that quickly started a “Kiernan from T-Mobile” craze. The picture of this new retail worker once again took the internet by storm as thousands shared the photo all around the world. However, the worker’s true identity was never discovered. Perhaps he has seen how life went for Alex, or maybe he somehow avoided the post altogether? 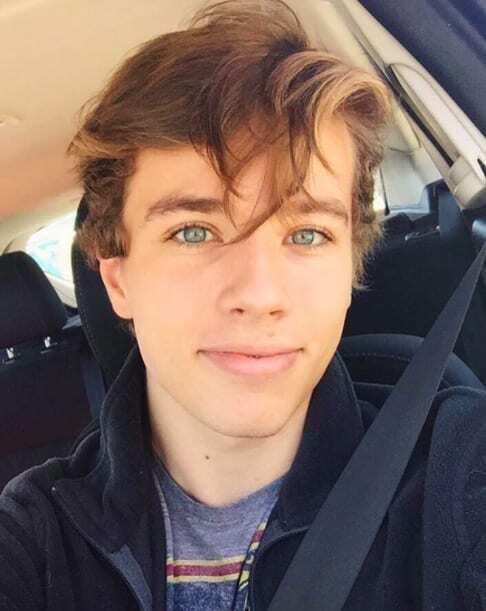 Alex has continued to admit several truths from his time as Alex from Target. The star confessed that managers would script everything he did and said in an attempt to keep up the character. This led to Alex feeling as though no one knew who he really was. However, this is all set to change in the grand comeback. Alex has promised fans that from now on everything he says will be 100% true as he wants to continue his new open book lifestyle. Over his years on the social media scene, Alex has plenty of advice to dish out. The money theft, and having his 150,000 subscriber YouTube channel shut down left Alex with plenty of wise words. He has warned people trying to make it on the internet should be cautious of who they trust. Alex sadly learned the hard way that youngsters trying to make their own way in this world should always do their research before making contacts. 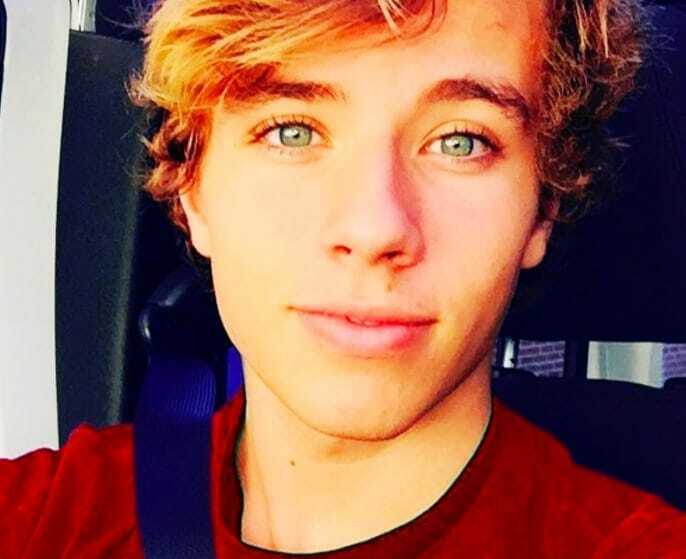 Alex from Target has managed to break away from his previous fame to create a whole new life for himself as Alex Lee. 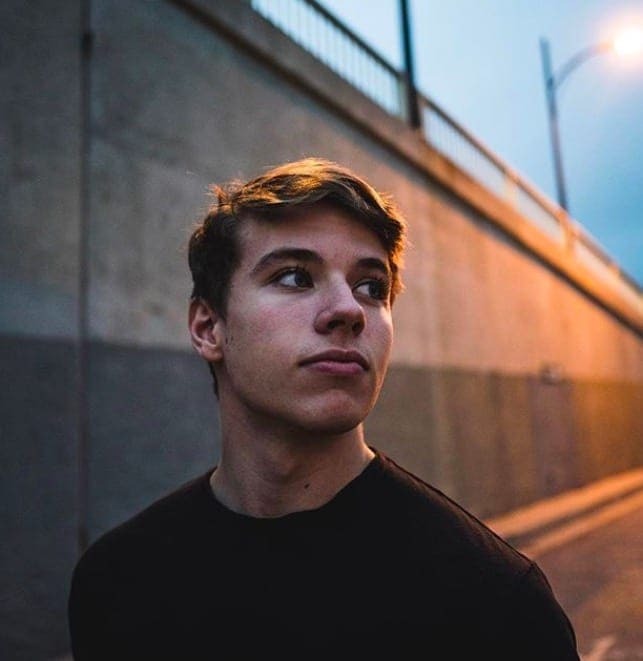 His first YouTube upload earned him more than 21 thousand views, with the others achieving around 5 thousand views each. 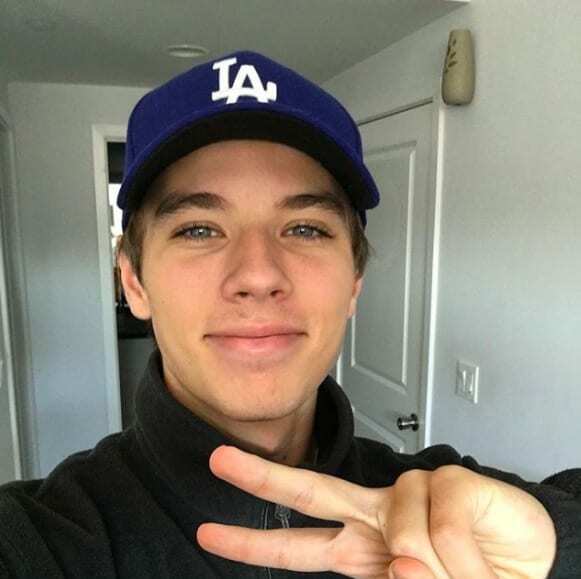 While his channel is still in its infant stage, Alex is happier than ever as he no longer has a manager telling him how to act or what to say. While he admits that he was once very naive, Alex now knows what to do to succeed. Even with his many social media pages, Alex has decided that his life shall no longer revolve around the internet. In fact, the star has admitted that a lot of his life will now be kept away from the public eye. Alex’s reasoning is he feels as though life on the internet is too risky to maintain a permanent career. Instead, Alex is planning on going back to school to train as an EMT in the near future. In the years since the fateful photo, Alex has done a lot of growing up. He has moved states, got a new self-confidence, and changed his appearance as he is now starting out in his twenties. Alex says that he is now more ready than ever to focus on what the future holds, all thanks to overcoming his fears on The Ellen Show. Even though Target life is long gone, Alex will never forget working the shift that changed his life.